HACKNEY COUNCIL has come under fire for using spy-cars to enforce right-turn bans rather than fixed cameras. The right-turn ban was instituted in the 1980s when a pedestrian crossing was removed from the junction. Children use the street on their way to primary and secondary schools in the area and right-turning traffic was considered to endanger them particularly. The council this year 2013 appeared to be giving up on the spy-cars when it spent money on altering the layout of the entrance from Cecilia Road to Dalston Lane to discourage motorists, who were still ignoring the No Right Turn signs. Yet the CCTV cars, supplied on sub-contract, by Apcoa continued to be sent to the street, prompting residents to wonder about the point of the costly roadworks. 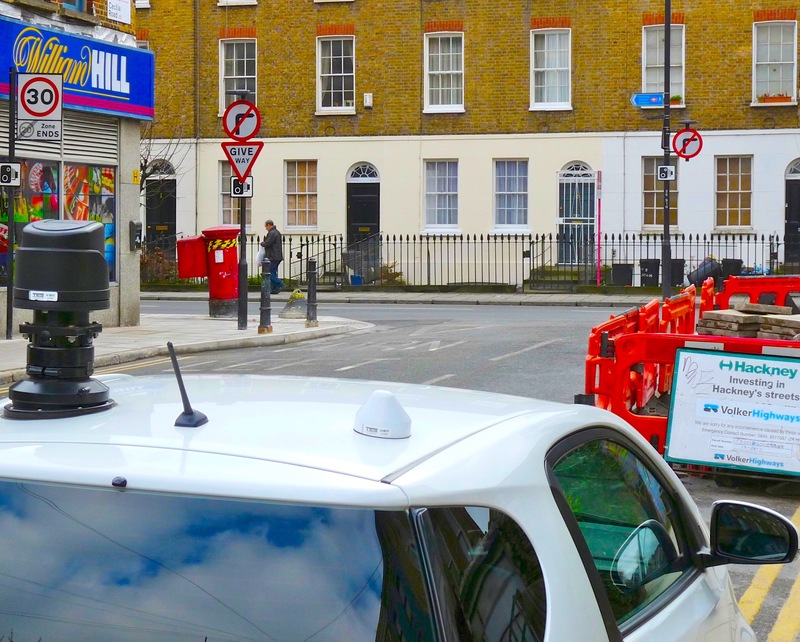 Resident Fenella Mallalieu told Loving Dalston: “My experience of these CCTV cars and vans, which are often parked right outside my gate, is that the engine is always running when the operator is in the car. “I feel very unhappy about the use of these cars, certainly on the grounds of pollution, which is already bad on the street, and the taking up of residents’ parking spaces, but above all for the waste of money. Charlotte George, of Hackney Green Party, said the CCTV vehicles seemed wasteful and bad for the environment, as well as unpleasant for residents of the streets where the CCTV cars were operating. The council could be in breach of Regulation 98 of the Road Vehicles (Construction and Use) Regulations 1986 and the Road Traffic (Vehicle Emission) (Fixed Penalty) (England) Regulations 2002, which allowed councils to issue £20 fixed-penalty notices to drivers who let engines run while parked. The spokeswoman added that police would always respond to reports of anti-social behaviour, vehicle-related or otherwise. The engine was usually running for about 10 minutes an hour to recharge the battery.